TOP FURTIVE: Remove Autorun.inf without any tool or software. Remove Autorun.inf without any tool or software. 2. Type cmd to open up the command prompt. 4. Then type the command attrib in the prompt it display the list of executable files in the current directory. 5. 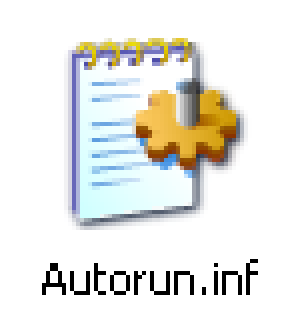 Check whether autorun.inf file is present or not. 6. If not then you are lucky. 7. If present then you have to follow all the following steps to remove that file. 9. The attribute depends on viruses. 11. -s to remove its system attribute, -h to remove its hidden attribute and -r to remove the read only attribute. 12. You can use this steps to remove any of the files which has this properties. 13. Remember before doing the above steps you have to remove all the viruses form your computer. I recommend avast home edition which is free and 100% perfect. If you haven’t clean the viruses first clean it because after you delete this file it will automatically creates it without your knowledge. 14. Then type the following command:- del autorun.inf. 15. Now you have successfully deleted the file after you deleted the file restart your computer or remove your pendrive and plug it again. In this way you can remove that file. Artikel Remove Autorun.inf without any tool or software. ini dipublish oleh Unknown pada hari . Semoga artikel ini dapat bermanfaat.Terimakasih atas kunjungan Anda silahkan tinggalkan komentar.sudah ada 0 komentar: di postingan Remove Autorun.inf without any tool or software.